Gadlas Park in Ellesmere sleeps between 2 and 4 people, with the accommodation being lodges. 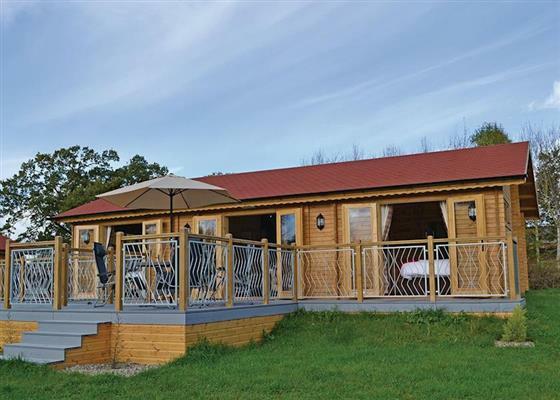 Gadlas Park is set peacefully in the wonderful Shropshire countryside; this exclusive cluster of luxury lodges offers the perfect escape for couples or families looking to kick back and relax in an idyllic location. Situated within close proximity Ellesmere, home to its glistening mere and traditional country pubs, each accommodation has been carefully positioned next to a shimmering fishing lake offering all the home comforts of modern day living, complemented by superb design and rustic features, while hot tubs offer the ultimate way to soak up the wonderful ambience whilst marvelling at the starry sky. Ideally located in the heart of Shropshire, a wealth of traditional market towns, picturesque villages and majestic attractions await within an easy drive of the doorstep. Nearby Shrewsbury boasts restaurants, pubs and shops aplenty, with a true flavour of medieval life as it stood many years ago. If you want to find out what other people have said about Gadlas Park, read the reviews on Gadlas Park for more information. And, for those last minute bargains, have a look at some of the special offers available at Gadlas Park. New in 2017. Modern and bespoke luxury lodge perfect for couples looking for a revitalizing escape. One king size double with TV and ensuite wet room. Spacious open plan lounge/kitchen/dining area. French doors leading out onto verandah with garden furniture and barbecue area. Outdoor hot tub. A well presented luxury lodge with one king size double with corner bath and one twin room (queen size bed by arrangement). Family wet room. Spacious open plan lounge/kitchen/dining area. French doors leading out onto a spacious verandah with garden furniture and barbecue area. Secure garden with outdoor hot tub. Ideal base for a rural adventure. "New in 2017. 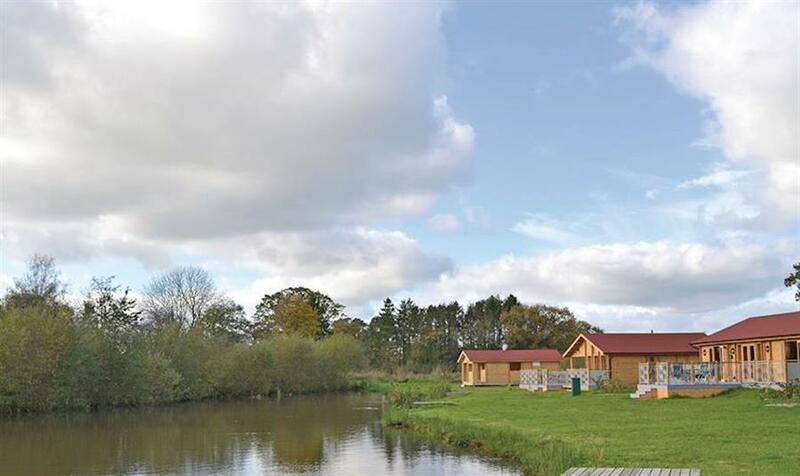 Stunningly designed contemporary lodge with one king size double with dressing room and ensuite bath with overhead shower, one twin with ensuite wet room, both with flat screen TV. Well equipped state of the art galley kitchen with wine cooler, dishwasher and washing machine. Open plan lounge/dining area. French doors leading out onto a spacious verandah with garden furniture and barbecue. Outdoor hot tub in enclosed gazebo overlooking the woods. No pets. Ideal for couples or families." New in 2017. Beautiful and bespoke luxury lodge fitted to an exceptional standard offering the perfect rural retreat. One king size double and one queen size double (both twin by arrangement) with flat screen TV and ensuite wet room shower. Well equipped kitchen with dishwasher. Open plan lounge/dining area with flat screen TV. French doors leading out onto a spacious verandah with garden furniture and barbecue. Outdoor hot tub. Ideal for couples and families. No pets. Find out about Gadlas Park, including prices and availability. There aren't currently any special offers at Gadlas Park however, the special offers shown below are all on parks within 30 miles of Gadlas Park - so you may find these useful. Holiday at Mynydd Mawr in Clwyd starting on Saturday 27 April 2019 for 7 nights. Holiday at Ty Nant in Clwyd starting on Saturday 27 April 2019 for 7 nights. Holiday at Mae Hafan in Clwyd starting on Saturday 27 April 2019 for 7 nights. Holiday at Gorsedd in Clwyd starting on Saturday 27 April 2019 for 7 nights. Holiday at Fir Trees Executive in Cheshire starting on Saturday 27 April 2019 for 7 nights. Holiday at Toft in Powys starting on Saturday 27 April 2019 for 7 nights. Holiday at The Oaks in Powys starting on Saturday 27 April 2019 for 7 nights. Holiday at Murray in Powys starting on Saturday 27 April 2019 for 7 nights. Holiday at The Saplings in Powys starting on Saturday 27 April 2019 for 7 nights. 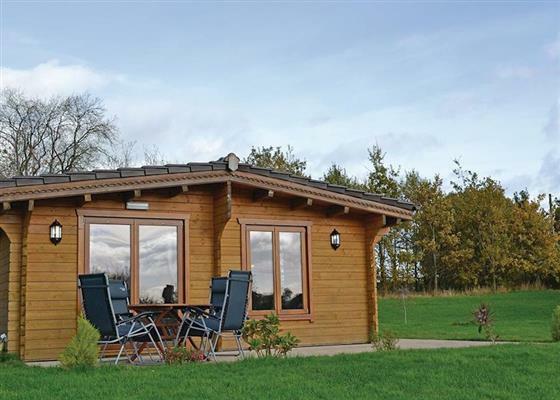 Holiday at Holly Tree Lodge in Shropshire starting on Saturday 27 April 2019 for 7 nights. 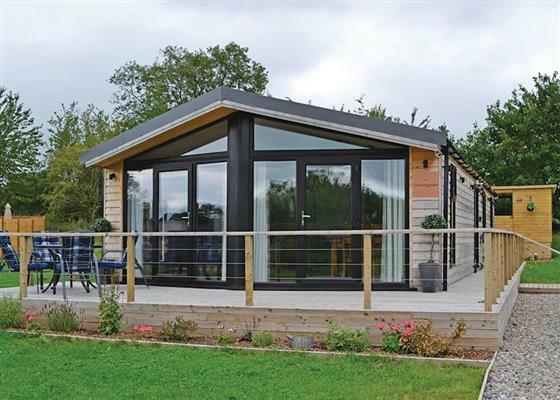 Holiday at Copper Beech Lodge in Shropshire starting on Saturday 27 April 2019 for 7 nights. Holiday at Tulip Tree Lodge in Shropshire starting on Saturday 27 April 2019 for 7 nights. Holiday at Fir Trees Executive in Cheshire starting on Saturday 04 May 2019 for 7 nights. Holiday at Holly Tree Lodge in Shropshire starting on Saturday 04 May 2019 for 7 nights. Holiday at Delamere Lodge in Cheshire starting on Saturday 04 May 2019 for 7 nights. Holiday at Oakmere Caravan in Cheshire starting on Saturday 11 May 2019 for 7 nights. Holiday at Fir Trees Executive in Cheshire starting on Saturday 18 May 2019 for 7 nights. Holiday at The Coach House in Shropshire starting on Saturday 18 May 2019 for 7 nights. Holiday at Fir Trees Executive in Cheshire starting on Saturday 25 May 2019 for 7 nights. Holiday at Woodlands Gold WF in Denbighshire starting on Saturday 01 June 2019 for 7 nights. Holiday at Platinum 4 Plus in Denbighshire starting on Saturday 01 June 2019 for 7 nights. Holiday at Woodlands Gold 6 Spa in Denbighshire starting on Saturday 01 June 2019 for 7 nights. Holiday at Kingsley Caravan in Cheshire West and Chester starting on Saturday 01 June 2019 for 7 nights. Holiday at Silver 6 in Denbighshire starting on Saturday 08 June 2019 for 7 nights. 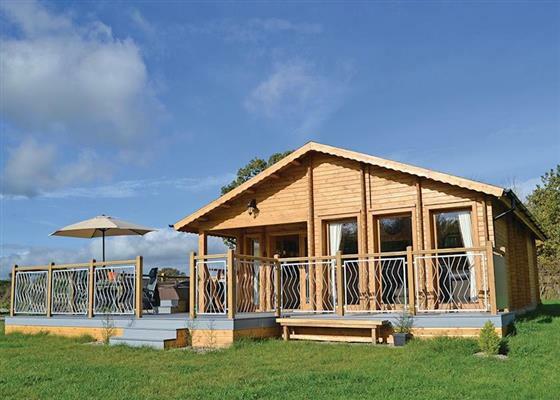 Holiday at Oakmere Caravan in Cheshire starting on Saturday 08 June 2019 for 7 nights. Holiday at Butlers Quarters in Shropshire starting on Saturday 08 June 2019 for 7 nights. Holiday at Butlers Quarters in Shropshire starting on Saturday 15 June 2019 for 7 nights. Holiday at The Coach House in Shropshire starting on Saturday 15 June 2019 for 7 nights. There are 29 holiday parks within 5 miles of Gadlas Park. Upper Close in Walton, Powys, and sleeps 8 people. 48 miles. Acanthus Cottage in Welshpool, Powys, and sleeps 4 people. 18 miles. Little Brampton in Clunbury, Shropshire. 34 miles. The Owl House in Welshpool, Powys, and sleeps 2 people. 24 miles. Oaklands in Dolgellau, Gwynedd. 39 miles. The Old Railway Tavern in Clun, Shropshire, and sleeps 6 people. 39 miles. White Hopton House in Sarn, Bishops Castle, and sleeps 12 people. 30 miles. Treburvaugh House in Knighton, Powys, and sleeps 16 people. 42 miles. Bodlondeb Cottage in Clwyd, , and sleeps 4 people. 22 miles. The Moathouse in Caverswall, Staffordshire, and sleeps 12 people. 36 miles. Mere Cottage in Nantwich, Cheshire, and sleeps 5 people. 21 miles. Yarchester Barn in Much Wenlock, Shropshire. 26 miles. Glandwr Terrace in Blaenau ffestiniog, Gwynedd, and sleeps 3 people. 43 miles. Iola Cottage in Llandudno, Gwynedd. 47 miles. Waldeck in Chester, Cheshire. 23 miles. Plas Iwrwg Granary in Llanrwst, Gwynedd, and sleeps 2 people. 41 miles. The Manor House at Plas Meini in Llan Ffestiniog, Gwynedd. 42 miles. Gwardolau Cottage in Rhayader, Powys, and sleeps 6 people. 49 miles. Filbrenik in Dudleston Heath, Shropshire, and sleeps 8 people. 0 miles. Cefn Colwyn Barn in Caersws, Powys, and sleeps 4 people. 36 miles. Crabapple Cottage in Oswestry, Shropshire, and sleeps 4 people. 11 miles. Craig Y Rhos in Machynlleth, Powys, and sleeps 6 people. 43 miles. Canalside Walks in Stone, Staffordshire, and sleeps 6 people. 32 miles. Brookbank Farm in Holmes Chapel, Cheshire, and sleeps 16 people. 33 miles. Yelt Cottage in Ashbourne, Derbyshire, and sleeps 2 people. 46 miles. Pen y Pigyn in Afonwen, Clwyd, and sleeps 3 people. 26 miles. The Cauldron in Blaenau Ffestiniog, Gwynedd, and sleeps 2 people. 42 miles. Smithy Farm in Frodsham, Cheshire, and sleeps 7 people. 23 miles. Hendre Barn Mawr in Abergynolwyn, Gwynedd, and sleeps 8 people. 47 miles. Garth Y Pistyll in Llangollen, Clwyd, and sleeps 6 people. 12 miles. The Town House in Bala, Gwynedd, and sleeps 8 people. 28 miles. Bailey Flatt Barn in Buxton, Derbyshire, and sleeps 7 people. 49 miles. Hirros Hall Longhouse in Welshpool, Powys, and sleeps 6 people. 27 miles. Brookway Lodge in Whitford, Flintshire, and sleeps 18 people. 29 miles. Troopers Barn in Church Stretton, Shropshire, and sleeps 12 people. 32 miles. The Water Tower in Leek, Staffordshire, and sleeps 11 people. 38 miles. Elleray in Chester, Cheshire, and sleeps 9 people. 19 miles. Criftin Farmhouse in Bishops Castle, Shropshire, and sleeps 8 people. 28 miles. Chorlton Moss Cottage in Newcastle-under-Lyme, Staffordshire, and sleeps 6 people. 26 miles. Love Cottage in Leek, Staffordshire, and sleeps 2 people. 35 miles. Plattin Inn in Buxton, Cheshire, and sleeps 4 people. 44 miles. Roaches View Barn in Cheddleton, Staffordshire, and sleeps 6 people. 37 miles. Bedw Barn in Newtown, Powys, and sleeps 14 people. 32 miles. Craigllwyn Farmhouse in Oswestry, Shropshire, and sleeps 11 people. 10 miles. Far Hill Cottage in Trewern, Welshpool, and sleeps 5 people. 16 miles. Hersedd Barns in Mold, Clwyd, and sleeps 6 people. 23 miles. The Chapel House in Prestatyn, Clwyd, and sleeps 12 people. 31 miles. Glanyrafon Bungalow in Rhayader, Powys, and sleeps 6 people. 47 miles. Fir Tree Lodge in Abergele, Denbighshire, and sleeps 4 people. 33 miles. Woodbine Cottage in Ludlow, Herefordshire. 44 miles. Rosehill Manor in Market Drayton, Shropshire, and sleeps 20 people. 18 miles. Riverside Cottage in Dolgarrog, Gwynedd, and sleeps 2 people. 41 miles. Seacot in Conwy, Wales, and sleeps 4 people. 48 miles. Bronawel in Oswestry, Shropshire, and sleeps 11 people. 11 miles. Morrells Wood Farm in Shrewsbury, Shropshire. 25 miles. Windycote in Leek, Staffordshire, and sleeps 6 people. 38 miles. The Balance Farm in Kington, Herefordshire, and sleeps 14 people. 48 miles. Trederwen House in Welshpool, Powys, and sleeps 12 people. 15 miles. Sisial Y Llyn in Bala, Gwynedd, and sleeps 9 people. 28 miles. Penlan House in Barmouth, Gwynedd, and sleeps 10 people. 49 miles. Shepherds Rest Cottage in Ludlow, Shropshire, and sleeps 6 people. 41 miles. Little Bent in Leek, Staffordshire, and sleeps 7 people. 41 miles. Friary Cottage in Ludlow, Shropshire, and sleeps 6 people. 39 miles. Trinity Stables in Buxton, Derbyshire, and sleeps 8 people. 48 miles. Hindwell Farmhouse in Presteigne, Powys, and sleeps 10 people. 48 miles. Bearwood House in Leominster, Herefordshire, and sleeps 10 people. 49 miles. Gorse Hill in Prestatyn, North Wales, and sleeps 12 people. 34 miles. Sporting Heights in Clows Top, Worcestershire, and sleeps 24 people. 44 miles. Buttercups Haybarn in Whitchurch, Shropshire, and sleeps 10 people. 9 miles. Hall Barn in Buxton, Derbyshire, and sleeps 12 people. 48 miles. Burrills View in Craven Arms, Shropshire, and sleeps 6 people. 32 miles. The Grange at Hencote in Shrewsbury, Shropshire, and sleeps 12 people. 15 miles. Castle View in Cronton, Liverpool, and sleeps 8 people. 33 miles. Bankside Cottage in Milldale, Peak District. 49 miles. Compton Guest House in Buxton, Peak District National Park, and sleeps 21 people. 48 miles. Preswylfa in Ty'n-y-groes, Snowdonia National Park, and sleeps 10 people. 43 miles. Leaton Corner in Bomere Heath, Shropshire, and sleeps 4 people. 12 miles. The Moathouse in Caverswall Castle, Staffordshire, and sleeps 14 people. 36 miles. Megs Cottage in Butterton, Peak District National Park, and sleeps 4 people. 45 miles. Wren Cottage in Prestatyn, Denbighshire, and sleeps 5 people. 31 miles. Manor Wood in Coddington, Cheshire, and sleeps 10 people. 12 miles.